Welcome to the 31 Day Blog Writing Challenge! I hope to have some fabulous conversations with you during this month of blogging. But first I need to tell you about my problem. My problem is my sewing room. I want it to be my "Happy Place," but I'm afraid it is more often "The Pit of Despair." In my mind, I have a magazine photo shoot worthy sewing room that is light and bright and roomy and organized and dreamy. In reality... much less so. I have sizeable sewing room -- over 400 square feet. It's the family room at the end of my house. I have a gas fireplace, a bathroom next door, and windows on three walls overlooking a stream where the deer come to drink. I have much to be thankful for. So, what is standing between me and my dream studio? To answer in one word: stuff. I have too much sewing stuff and no decent storage. Solving this problem won't be quick, but I don't want it to be expensive. I can't show you photos of my sewing room as it is now because it is more horrible that I can bear. I will show you a small piece of the problem, though. Often, the cuttings miss the basket. Most of the time, the basket is overflowing. Eventually, these trimmings are sewn into dog beds for the animal shelter, but I don't have enough scraps yet and this basket is merely one of the hundreds of problems in my sewing room. I am not traveling for work for nearly three months and, in theory, will have time to work in my sewing room. In my mind, I have the idea that I'll have a greatly improved space by March. In reality -- who knows? I hear ya!! I call this sewing frenzy fall out! I know you can do it though one small task at a time. I have honestly been thinking about taking everything out as if I were moving and then putting only what I really really want back in. Our local recycling refuse pick up includes a special bag for material for just this reason. It goes into beds for our animal shelters. You might want to see if that service is offered to you. Thank you for sharing your sewing area problem. I find I also have too much stuff and not enough room, only 90 square feet. I don't even have enough space for my ironing board. This week I've knocked over my drinking water twice when trying to use cutting rulers! I'm hoping you'll give us hints on what helps you out - to inspire me on working through my issues! 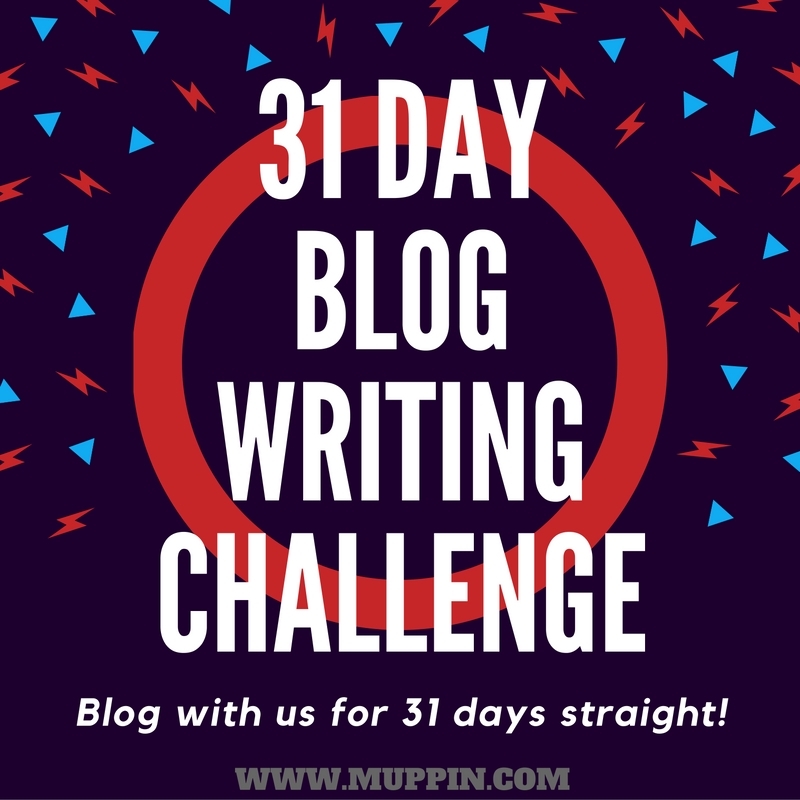 I'm loving this 31 day challenge!